Pacific Cycle is the parent company to some of the biggest names in outdoor recreation including Kid Trax, Mongoose and Schwinn. The quality and care that Pacific Cycle puts in to their products shows and we’re happy to be a part of this great team. The Mongoose MGX-250 is something we wish we had when we were younger. These kids had a blast! Kid Trax is Pacific Cycle's battery-powered ride-on division. Their latest is a Teenage Mutant Ninja Turtle-themed Party Wagon. 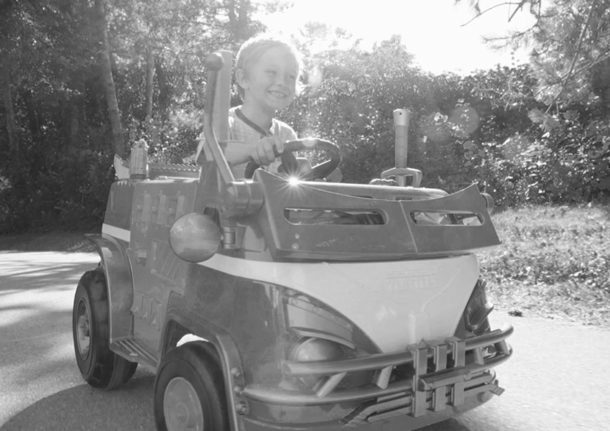 This CAT Tractor is part of Pacific Cycle's Kid Trax line - oh to be a kid again.